Rough and flawed, but still a part of Matsumoto's sweeping vision. ...Leiji Matsumoto does Megazone 23 meets Weathering Continent meets Brothers Grimm with a dash of Ghost in the Shell. Young Maetel is the princess of a dying world. Thrown out of its 1000-year orbit, food, warmth, and time are running out for the forsaken planet and its people. Their only hope is to follow the brilliant scientist Hardgear, who promises eternal health by replacing flesh and blood with a machine body that he has perfected. But is Hardgear's gift really what it seems? Maetel must choose whether to become a machine like so many others, or to join her sister and risk her life fighting for freedom. Maetel Legend is yet another piece of Leiji Matsumoto's epic space opera universe. A sort of origin story for the ever-mysterious Maetel (along with Emeraldas), it is clearly intended for fans of Galaxy Express and its progeny, and doesn't offer much to non-fans past an uneven, tragic fairy tale. Past unimpressive visuals that look two decades older than they are, the story is halting and jumps around seemingly at random. Individual scenes are good, but it doesn't fit together into a coherent whole. Maetel Legend is an interesting story about Maetel's past for fans of Galaxy Express 999 and its kin. For those who aren't, the story functions on its own, but it's just too poorly constructed for me to be able to recommend it unless you're very much in the mood for a tragic sci-fi fairy tale. Maetel Legend is yet another piece of Leiji Matsumoto's epic science-fantasy universe. A sort of origin story for the ever-mysterious Maetel (along with Emeraldas), it is clearly intended for fans of Galaxy Express and its progeny. Sadly, it's too choppy and visually unimpressive to offer much to non-fans past an uneven, tragic fairy tale. I should note that I do not happen to be part of Maetel Legend's target audience. Although I'm familiar with the world, I'm neither a fan nor particularly knowledgeable, and it's definitely designed to appeal to people who are both. People who do qualify will get the detailed backstory of Maetel and Emeraldas with all the melodrama and classic anime style you'd expect. For the rest of us, I'll offer a rundown from the perspective of its merits as a standalone series. To start with, although there are plenty of tie-ins to things that happen later in the Matsumoto-verse, the story is fairly self-contained. It's also rather inconclusive--it is, after all, an origin story--but there aren't a lot of characters that the viewer needs to know by reputation to appreciate. Unfortunately, knowing them by reputation is the main reason you'd bother watching. I have two problems with Maetel Legend. One is that I have trouble with Matsumoto-style space fantasy. Don't mistake it for science fiction, or even space opera--the technology and sci- is there, but for the most part the sci-fi trappings just provide a different locale for a classic fairy tale. As you might expect, logic is frequently sacrificed for style or metaphor. As long as you take it for what it is, this shouldn't be a big deal. A much bigger problem is that the story isn't put together well. It usually moves along briskly, and there are several dramatic peaks, but the drama is broken up by awkward lulls. Several times an abrupt scene change in the middle of what appeared to be buildup toward a climax left me wondering where we were and how we got there. Elsewhere there are rather large plot holes and a couple of scenes that don't make sense when they occur. If you only look at the broad metaphor of the story, or focus on individual scenes (mainly those between the Queen and her daughters), Maetel Legend is interesting and dramatic, but there are big problems with the flow of everything in between. The visuals share this lack of coherence. Several scenes don't have a particularly good sense of space, and the backgrounds, though not badly painted, are uninspired. Maetel Legend also looks much older than it is, a disappointment in in light of what could have been (and was, in other more recent Matsumoto-verse series like Queen Emeraldas). I don't mind that the character designs and visual style have the classic look of other Matsumoto series. What I mind is the rough art, choppy animation, and weak coloring, all of which are a little too familiar from lower-budget series of the Galaxy Express era. On the positive side, there are a few memorably creepy scenes involving the mechanization process. Musically, the production is surprisingly quiet. What music there is is unremarkable. The voice acting in Japanese is broad and a bit cheesy, but that mostly fits with the production, and Keiko Han as the Queen has a few solid dramatic scenes. On the other hand, apparently taking a machine body does something weird to your synthetic sinuses, since Hardgear (Takashi Matsuyama) has an appropriately evil but amusingly nasal voice. The dub isn't bad at all, with Dan Green's Hardgear probably being the standout voice. Although I liked Veronica Taylor's slightly harsher take on Emeraldas, Maetel (Lisa Ortiz) apparently inherited Hardgear's perpetual head cold. In the end, Maetel Legend is an interesting story about Maetel's past for fans of Galaxy Express 999 and its kin. For those who aren't, the story functions on its own, but it's just too poorly constructed for me to be able to recommend it unless you're very much in the mood for a tragic sci-fi fairy tale. Probably not the best of the stories that make up Leiji Matsumoto's universe, but it's still one of them, and an important one at that. The themes of sacrificing one's humanity to technology are handled in many other anime; some include Gunnm, Ghost in the Shell, AD Police Files, and Angel Cop, none of which have anything else thematically in common with Maetel Legend. 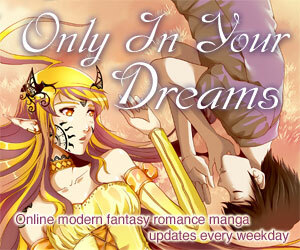 Better matches are tragic fairy tales or allegories like Windaria or Weathering Continent. Leiji Matsumoto, the mind behind Maetel Legend, is responsible for some of the seminal works of anime space opera, including Space Battleship Yamato and Galaxy Express 999, and Maetel Legend fits into the epic Matsumoto-verse that most of his stories are part of. USM's DVD isn't a particularly impressive production, but isn't bad either. It includes an unimpressive video transfer (it's rather harsh looking), Japanese and English stereo audio, and a subtitle track. Extras include a cheesy "trivia" game (really more of a memory game), "meet the cast," which consists of a short character description and video clip of each character (the actor and audio for both languages is included--nice touch), and a long biography of Leiji Matsumoto. The DVD was re-issued in 2004 with no apparent changes other than different box art (the original edition is an attractive painting of Emeraldas and Maetel; the newer one has a less-appealing cel-style image dominated by the Queen). All things considered, there is some fairly strong violent content. Appropriately rated 13+ by USM. Violence: 3 - Not terribly graphic, but there is some strong violent content. Language: 1 - Relatively mild language. 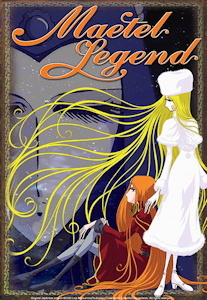 Formerly available in North America from the late US Manga Corps on a single bilingual DVD; the original edition was re-released a couple of years later with no apparent changes other than different box art. It was originally also available on one dubbed VHS tape. 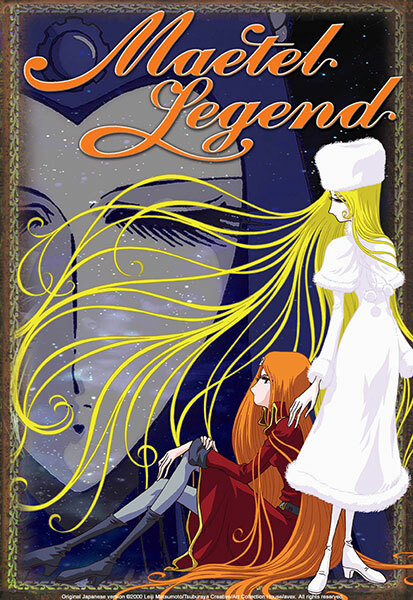 Out of print for some time, used copies of both versions are usually listed on Amazon, but tend to be at least as expensive as the list price when it was new: Maetel Legend (newer edition) , Maetel Legend (original DVD) . Maetel Legend is Copyright © Leiji Matsumoto, Tsuburaya Creative, Avex mode, Art Collection House. Any images are the property of their respective rightsholders, and included for review purposes only under the fair-use clause of US copyright law.